August marks the peak of summer, after which temperatures gradually become more bearable every day. There are outdoor activities where families can enjoy the warmth, but if you’ve been sweating too much the past few weeks, go to the cool and elegant halls of the picturesque National Centre for the Performing Arts (NCPA), just near Tian’anmen Square. Even better, the NCPA kicks off August with a choral festival featuring children’s choirs from different parts of the globe, as well as a series of productions for the family as part of their four-month international theater festival. The Magic Flute is one of Mozart’s operas, telling a fable about Prince Tamino taking risks to save his beloved Pamina. This performance takes the form of a puppet show, in order to develop in children an appreciation for the opera. Meanwhile, Hansel and Gretel is a traditional German story that comes from the Grimms’ Fairy Tales. 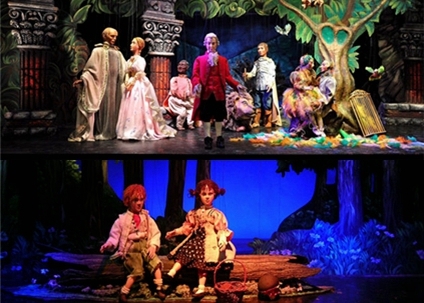 See these two classic tales for children on show at the NCPA at 7.30pm. Tickets from RMB 100 to RMB 500 (buy tickets here). Me and My Shadow is presented in the form of a visual poem for children, and the performance tells its story using the languages of paper, light, shadow, color, water, music, sound and words. With fantastical imagery, quirky physical performances, and an intriguing score, Me and My Shadow seeks to ignite the imaginations of children in a poetical experience that explores the frustrations and joys of friendship. Show starts 7.30pm. Tickets are priced RMB 180 to RMB 300 (buy tickets here). 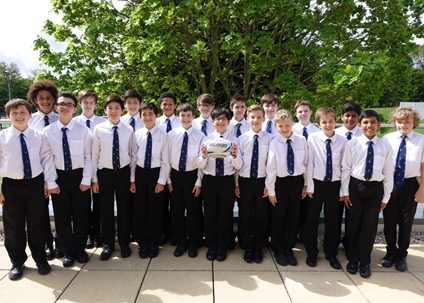 Trinity Boys Choir is one of the busiest and most successful choirs in the world. It has enjoyed a high profile, both at home and abroad, for almost fifty years. They appear at the NCPA to perform a wide-ranging program, with everything from Simon and Garfunkel to Handel to traditional English folk songs. Show starts at 7.30pm. Tickets from RMB 50 to RMB 100 (buy tickets here). 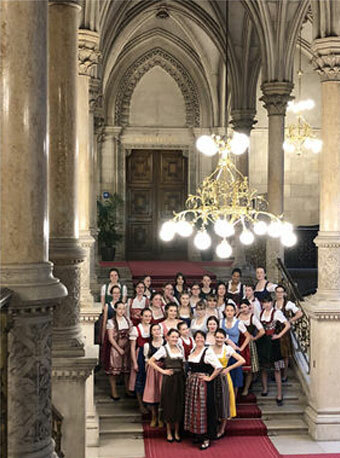 The choral activities at Ljubljana Conservatory of Music and Ballet started progressing after composer and conductor Ambrož Čopi assumed leadership of the choir in 2010. 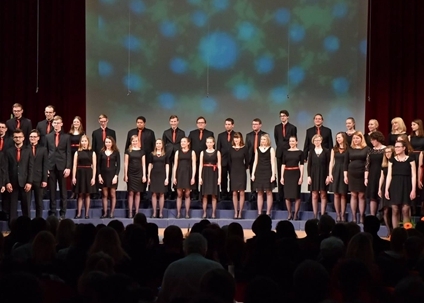 After four years of growing quality, the choir have distinguished themselves in different competitions in Europe. They appear at the NCPA to perform a program of classical and traditional Eastern European vocal works. Show starts at 7.30pm. Tickets from RMB 50 to 480 (buy tickets here). Vienna Music School Choir won a gold medal and a bronze medal at the 5th World Choir Games in Graz, Austria. Every December, the choir performs in the famous St. Stephen’s Cathedral and at the Vienna Concert Hall in May. Vienna Girls’ Choir appears at the NCPA to bring a touch of soft and pure vocal color to the festival with their joyous performance of singing and dancing. Show starts at 7.30pm. Tickets from RMB 50 to RMB 480 (buy tickets here).